Once described as a “man with more irons in the fire than burning laundry,” Terry White is credited for sparking life back into a languishing company. The Brethren Missionary Herald Company (publisher of GraceConnect magazine) was struggling in 2003 when White, an experienced writer and editor, took its reins. The organization was in limbo as the board considered dismantling it. Jesse Deloe, an experienced consultant and pastor who had been engaged to advise them in their next steps, recommended Terry for the position of executive director. As an experienced connector, White understood the importance of forming solid inter-fellowship relationships. Another of his most notable bridge-building successes was founding the bi-monthly publication, FGBC World, which started in eight-page newspaper form and has morphed into Grace Connect magazine. He also launched BMH into the online world with two successful websites, fgbcworld.com and bmhbooks.com, as well as the BMH Editor’s Blog at fgbc-world.blogspot.com. The Fellowship had not seen a unique publication since the mid-1990s, so these new connecting points were a welcome change. 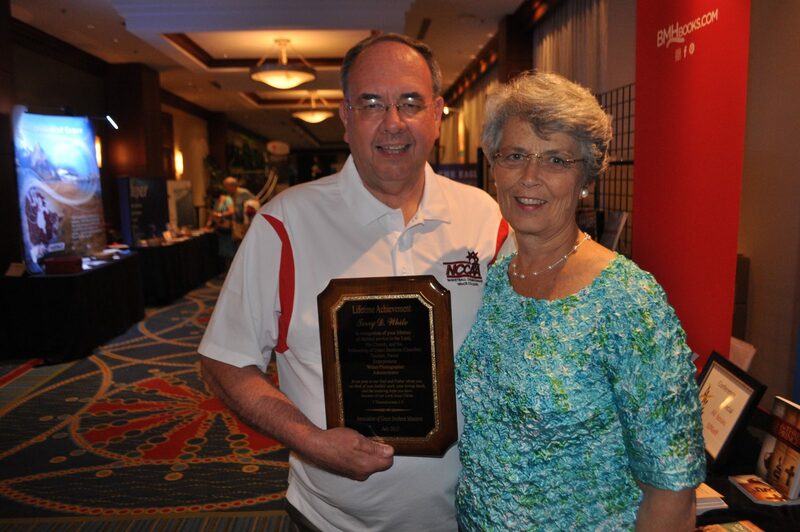 This summer, Sharon joined Terry when he was recognized by the Association of Grace Brethren Ministers with the Lifetime Achievement Award. “[The job] provided an immense personal satisfaction for me to serve the Fellowship and the churches that I knew so well and loved so much,” recalled White. “It ranks right up there as what I feel is one of my best legacies. My roots are so deep in the Fellowship and being a key player in helping the ‘soil from which I sprang’ to move forward and thrive has been one of the most satisfying things in my life. It maximized any talent I have or any experience I have business management, writing, editing organizational communications…it demanded the best from me. I am very grateful to have had that chance. He served as executive director at BMH until 2010, when he stepped down, and as publisher until 2012, when his position was eliminated in budget cuts. He continues to represent the FGBC and BMH on Brethren Encyclopedia Project, where he has served since 2005. Born in western Pennsylvania, the only child of faithful Christian parents, White grew up in the Grace Brethren Church of West Kittanning. He entered Grace College as a freshman the fall of 1960 and lived and worked in Winona Lake until 1977. He served in town government, held multiple positions at Grace College and Seminary, was in leadership at the Winona Lake Grace Brethren Church, and owned a number of local businesses. 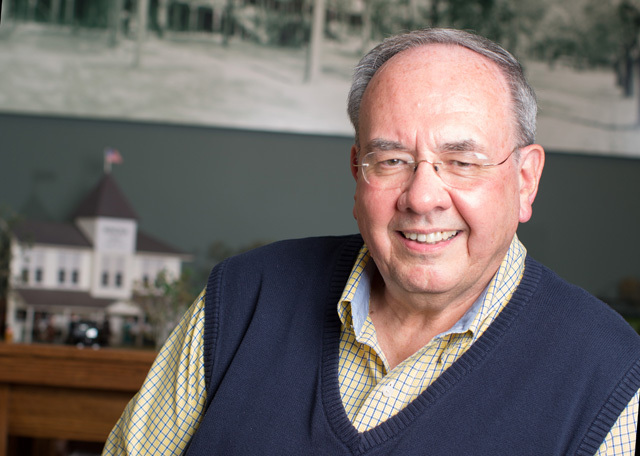 For the next 25 years, White, an inspiring teacher, taught journalism in five Midwestern colleges and universities, and served 12 years as associate pastor and executive pastor of a large church in Minneapolis. While in Minneapolis, he began the Twin Cities Christian Newspaper, which he later sold. (Today it operates as Minnesota Christian Examiner.) He also worked with Chuck Colson’s Prison Fellowship Ministries in Washington, D.C., for 12 years, including time as vice president of communications. In the spring of 2001, he became associate pastor of Potomac Baptist Church outside Washington, D.C., and began serving as a mentor with the Jerry B. Jenkins Christian Writer’s Guild. Among his numerous accolades, White received The Evangelical Press Association’s highest honor, the Joseph T. Bayly Award for Outstanding Contribution to Christian Periodical Publishing while serving as president and board member; The National Association of Evangelicals’ highest honor, the James Deforest Murch Award for Outstanding Service in Christian journalism; and most recently the Lifetime Achievement Award presented by the Association of Grace Brethren Ministers on July 28. No discussion of White’s creativity would be complete without mention of his deep interest in music. After earning a bachelor’s of music education at Grace College, he went on to earn a master’s degree in music education at Indiana University. While it was the printed word that ultimately captured his professional heart, he is an accomplished musician who adeptly plays the piano or organ or leads congregational singing at a moment’s notice. He and his wife, Sharon, often play for worship services at the Winona Lake (Ind.) Grace Brethren Church (Bruce Barlow, lead pastor) – he on the organ, she on the grand piano. Not content to become stagnant, he completed a doctoral degree in organizational leadership (Ed.D.) at Indiana Wesleyan University in 2012. He often joked that he was the only member of his cohort who was paying for his education with his Social Security check. These days his focus is Grace College and the community of Winona Lake, where he and Sharon make their home. In celebration of the town’s 100th anniversary, he wrote Winona at 100: Third Wave Rising (BMH Books, 2013) in collaboration with Dr. Steve Grill, a Grace professor, administrator, and local history buff. The 328-page book traces the development of the community that has birthed numerous Christian ministries and continues to be the home of many organizations that are affiliated with the Fellowship of Grace Brethren Churches. He’s made a full circle from his post-college days when he taught at Grace and served as its director of public relations. 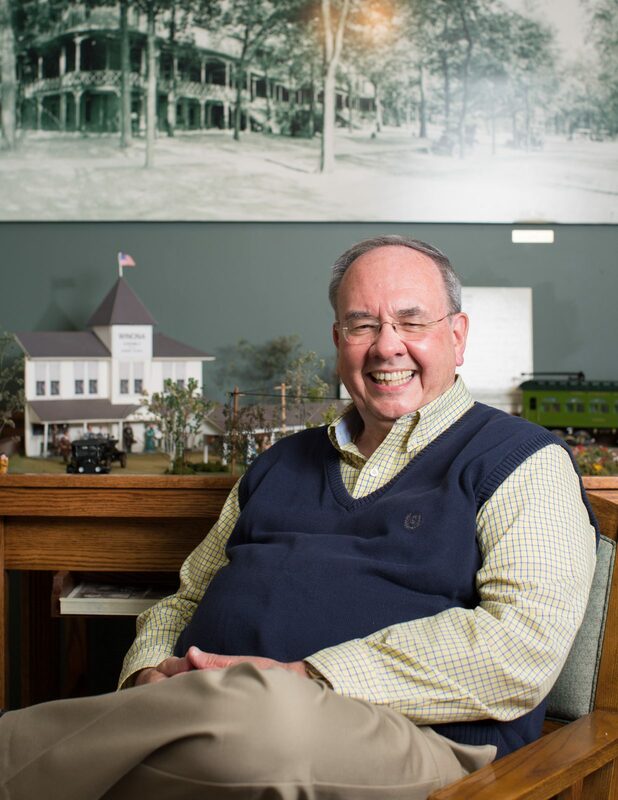 From his office in the Reneker Museum of History on the Grace campus, he functions as a docent for the museum, including the Billy Sunday Home, and works with newly-appointed President Bill Katip as the liaison for FGBC churches. Editor’s note: MariJean Sanders is the editorial coordinator at GraceConnect. She is a graduate of Grace College, where she was a student of Terry White’s. I had the privilege of working with Terry as an intern at BMH. He was wonderful to work with, and my semester as "Dr. Laura" the intern will always mark one of my favorite jobs. Terry showed me many sides of the publishing industry and allowed me to learn my way through different tasks by doing them. He truly has done a great service to our fellowship!